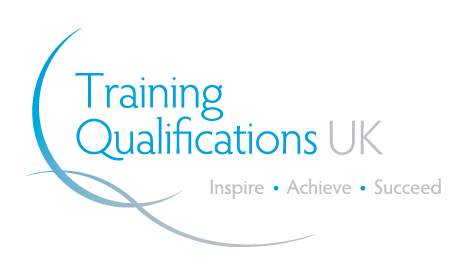 A learner will get Endorsed Diploma Level 4 Diploma in Construction Management from Ofqual recognised leading Awarding Body (TQUK). The demand for professional courses in the construction industry is booming and construction firms are hiring the workforce having professional constructions courses. Construction Management Diploma will give the learners a comprehensive understanding of the construction industry and its latest trends. Construction Management Course will serve the learners by providing them knowledge about the management of construction projects, site management and tools and techniques for the estimation of a construction project. Inspire London College has planned the Level 4 Diploma in Construction Management that starts with very basics of Construction Management and take the students to the advanced level of the construction management and introduces the learners with different aspects of the construction industry and construction project management. In addition to this, the learners will be able to develop new skills and will be able to improve their existing skills with Construction Management online diploma course. This diploma in Construction Management will add value to your CV and will increase the possibilities of getting hired by a construction firm. Therefore, don’t delay and apply today for this diploma in construction management and establish a rewarding career in construction management. In addition to this, the Construction Management course also provides knowledge about the management of materials, equipment, procurement, HR and quality construction management. Inspire London College’s team of friendly advisors, and an online tutor will be there for your assistance. After enrolling in this course, you will get access to our Virtual Learning Environment (VLE) / Moodle within 24 hours, and all the study materials and assessments will be available via VLE/Moodle. The Online Tutor will be available throughout your distance learning course to give you help with specific issues, and help you through difficult topics via email within 24 hours. The Tutor will also provide you with feedback on your assignments via Moodle/VLE. Course material includes all the essential learning material such as lecture notes, Assessments, Quizzes (if require) in PDF, Microsoft Word, Excel, PowerPoint format and other useful study links. A professional one-to-one tutor to provide all-inclusive assistance throughout the course via email. Construction Management course aims to explain that what actions are needed to become a qualified Construction Manager and explore a world to find out the best opportunities in the market. Create a written proposal appropriate to the construction disciplines. Create oral presentations appropriate to the construction disciplines. Analyse professional decisions based on ethical principles. Analyse construction documents for planning and management of construction processes. Analyse methods, materials, and equipment used to construct projects. After reading the course material, the learner will have to attempt an assignment(s). The Assignment Brief containing the different questions will be available on VLE / Moodle. During the completion of the assignment, a learner can get unlimited support from online tutor via email. A learner will be assessed by Inspire London College’s assessor(s) & IV’s. When an assessment criteria is met, it will be graded as ‘Pass’. If there is further evidence required, it will be graded as ‘referred’, and your assessor will give feedback as to how you can meet the criteria. You can resubmit an assignment as many times as you need to. Upon successful completion of the Construction Management Diploma, learner needs to pay for an Endorsed Diploma from an Ofqual regulated awarding organisation or Certificate of Completion from Inspire London College. Construction Management courses are basically for the candidates who are in pursuit of promotion and specifical individuals from construction sectors can join for these courses. Courses are also beneficial for candidates who want to enhance their management skills and knowledge to handle the construction projects. Business owners, who are running their own business, want to look over operations of the business, and the managers who want to develop skills to enhance their professional level by promotion are also encouraged to take these courses. Workers and supervisors at construction sites who want to enhance their leadership skills can also avail these courses. Individuals who want to enhance their career prospects and candidates who are at the entry level and want to achieve success in the near future can also take these courses. There is no formal entry requirement for Construction Management Course. Learners pursuing to enrol for this course should meet the following conditions.